A quick update on several projects in Bedford. 1. 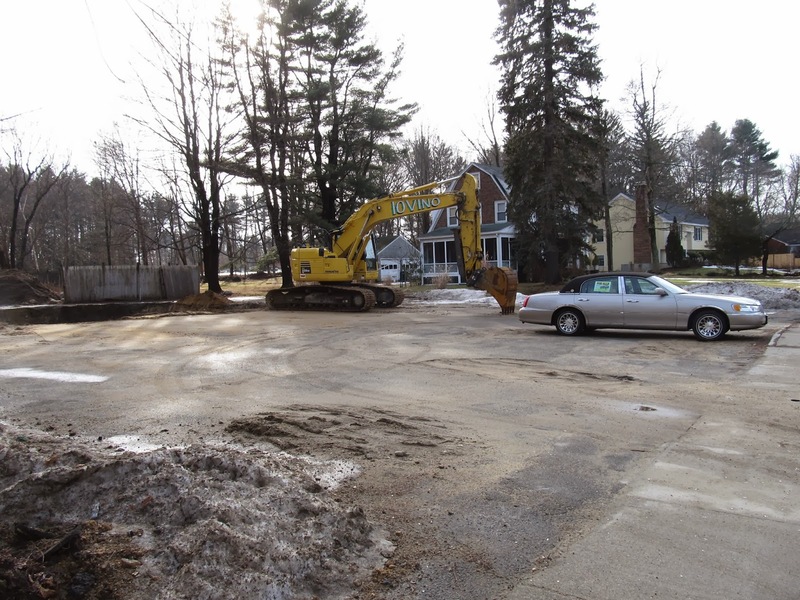 Bierens Garage at 50 Concord Road has been torn down. This location is now owned by B&R, LLC and will become a used car lot. All that remains of the old Garage is a hole in the ground. The new business is only allowed to display a maximum of 3 cars at any one time. 2. The two office buildings at 201 Burlington Road have been gutted and are undergoing extensive renovations. The buildings which were once occupied by Polaroid, was bought by Nordblom Company over the summer. It's interesting to note that Nordblom owns a lot of nearby buildings including all of Network Drive as well as Northwest Park which includes the 3rd Avenue project in Burlington. Picture of 201 Burlington Road before the renovation project. The building will get a new exterior. 3. 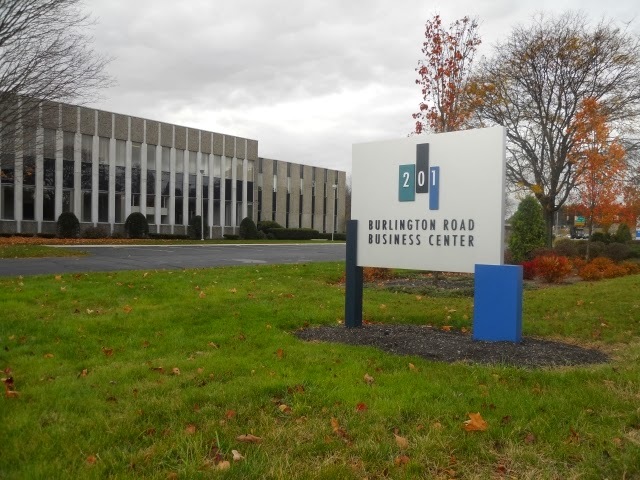 Rectrix Aviation completed the construction of their new Fixed Base Operation (FBO) at Hanscom Field in Bedford. The FBO, which is located at 200 Hanscom Drive will house private planes and also offer Private Jet Charter. The new Hanger replaced the old Hanger 24. Rectrix, which is headquarted in Bedford, has existing FBO's in Hyannis, Westfield and Sarasota Florida with an additional FBO under construction at Worcester Regional Airport. Stay tuned for more details.